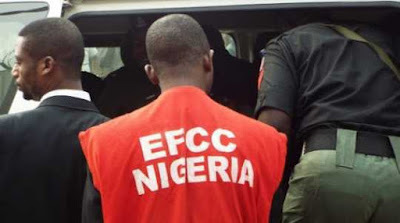 The Economic and Financial Crimes Commission has begun investigation into how N11 million allegedly taken by each of 33 ex-local government caretaker chairmen was spent to secure Oyo State against incursion by Boko Haram insurgents during the 2015 general elections. Premium Times gathered that the investigation followed a petition submitted to the commission revealing that the money was disbursed from the Local Government Stabilization Account to each of the 33 local government areas of the state. The petition, which claimed that the ex-council chairmen took the money between March 23 and 25, 2015, was said to have also indicted the state government and its Ministry of Local Government and Chieftaincy Matters in the matter. It was withdrawn in cash by the various caretaker chairmen and allegedly handed over to the then chairman of the Association of Local Government of Nigeria, ALGON. Preliminary investigation by the EFCC was said to have revealed that the former council chairmen actually withdrew and spent various other sums without due authorisation and proper documentation. Findings by Premium Times showed that the anti-graft agency has established a prima facie case against the former council bosses after their interrogation and that they would soon be arraigned for prosecution. Punch Newspapers quoted one of the accused former council bosses as saying the money was meant to avert attack by Boko Haram insurgents during the 2015 general elections. “We were told that there was a security report that Boko Haram could strike in the state during or after the election and that each of the council areas should contribute N11 million and hand it over to the ALGON chairman for anti-terrorist activitities to be coordinated centrally,” he was quoted to have said. “From the amount, N10 million was actually deposited with the ALGON chairman, while one million naira was left for each of the council chairmen for logistics in the councils,” ,the ex-chairman was reported to have stated. He had also reportedly said he could not affirm if the money was used for the stated purpose but that his impression was that it was. The spokesperson for the Ibadan zonal office of the EFCC, Ayo Oyewole, did not respond to text messages sent to him on the issue.